Learn a little about beach glass and make a beach glass framed art piece and drink some wine! 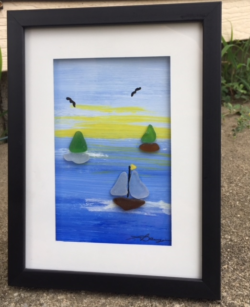 In this class, besides instructing how to make a beach glass framed art piece, Tina will also teach a painting technique. She will be doing a series of this style, this being the first in the series.